What will you be listening for the next time you interview a marketer for your team? "What's your favorite interview question? And how can you tell if someone will be a good fit for your team?" I jot down the juiciest questions and add them to a master list that I've built over many years and many recruiting projects. And then, I pluck questions from that list when I do a search for a marketing leader. Of course, some of the best insight on how to hire great marketers comes from marketers themselves. So I've enjoyed speaking with several top marketers recently about how they are (re)organizing their marketing teams to fulfill their modern marketing mandate, and how they attract new talent. Insights from these conversations appear in my new column called Driving the Modern Marketing Organization, published in MarketingLand and co-authored with the unstoppable Nadine Dietz, a Former CMO of the CMO Club. If you need to rethink your marketing team or attract top marketing talent, definitely check out those stories for inspiration. "We look for diversity in roles. 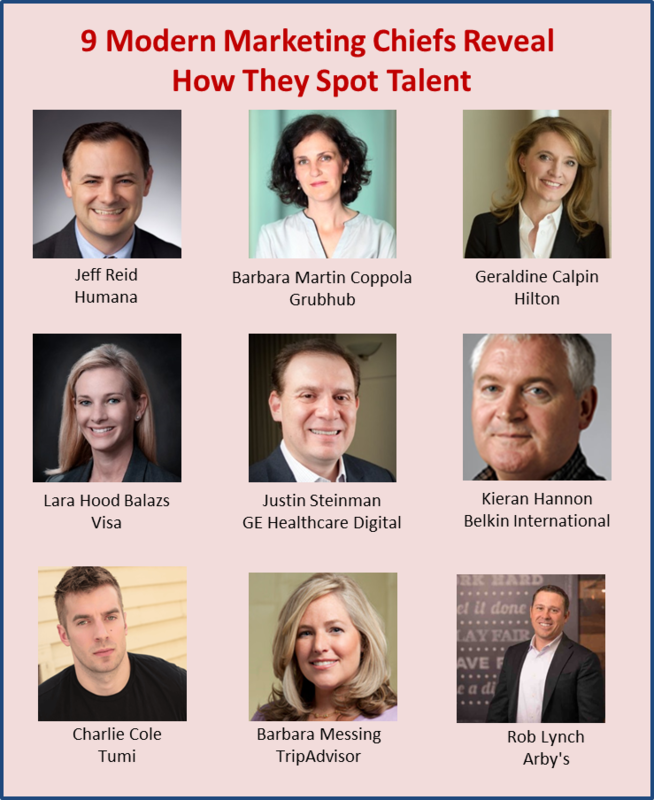 We look for people who’ve worked in organizations that aren’t rigid — people who thrive when everything is not solved for them" - Lara Hood Balazs, SVP, Head of North America Marketing, Visa, Inc.
How about you? What will you be listening for when you next interview a marketer? About the author: Erica Seidel, Founder of The Connective Good, helps CEOs and CMOs recruit marketing talent for their teams. Her expertise is focusing on marketing leaders and senior people in analytics, technology, digital marketing and market research.